The case was Shelby County v. Holder and the year was 2013. The Supreme Court ruled that major parts of the Voting Rights Act (VRA) were unconstitutional, and the 5-to-4 majority indicated that they expected Congress to rewrite those parts of the VRA to come into compliance with changing times. But this was not to be. Within hours of the decision, the state of Texas instituted ID laws and other redrawing of voting district boundaries which, prior to the decision, would have required federal government approval. Voting requirements in the name of protection from voter fraud (cases of which have been few and far between) have proliferated, especially in states that were relieved of federal oversight by the Shelby decision and states that want to protect the dominance of one political party or another. 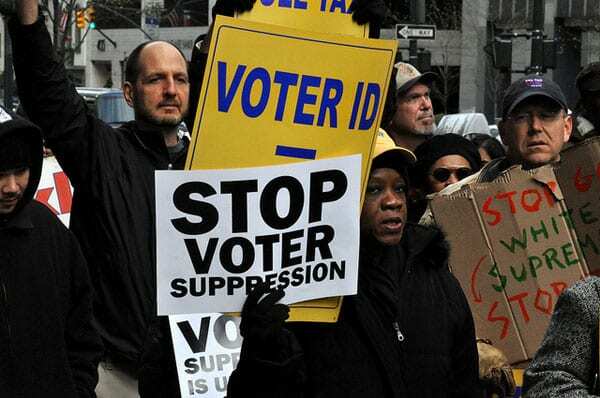 But the plea for a rewrite of the Voting Rights Act may now be on the legislative table. HR1, the prestigious first bill named in the newly constituted House of Representatives, is just that—a voting rights bill. The bill before the judiciary committee is known as the For the People Act, and its proposed reforms would address virtually every high-profile electoral controversy that has arisen over the past decade. The bill would establish national automatic voter registration, set rules to curb partisan gerrymandering and restore voting rights for people with felony convictions in states that have not already done so, a major goal for racial justice groups. The bill also directly targets the Supreme Court’s 2010 Citizens United ruling, which unleashed massive corporate political spending. The legislation declares Congress’s intent to amend the Constitution and re-establish its ability to enforce campaign finance and donor disclosure rules, although doing so would require a broader move to pass a constitutional amendment. Another proposal for public campaign financing would match small donations to candidates. In addition, this bill addresses the bottleneck in the Federal Elections Commission by reducing its membership to an uneven number (from six members to five) so actual decisions, rather than tie votes along party lines, result. All of this is likely to pass in the House where the Democrats hold a majority and where a number of Republicans are reading the tea leaves of their constituents who see voting rights and addressing corruption in DC as a nonpartisan issue. Cracking down on corruption was a top item in a recent poll in House districts that are considered vulnerable. The bill would require Super PACs and [secretive] political organizations to make their donors public. It would set up a voluntary option to publicly finance campaigns, powered by small donations. The federal government would provide a voluntary 6-1 match for candidates for president and Congress, which means for every dollar a candidate raises from small donations, the federal government would match it six times over. The maximum small donation that could be matched would be capped at $200. The president and vice president and presidential/vice presidential candidates would be required to disclose 10 years of their tax returns. It would put in stricter lobbying registration requirements, with more oversight of foreign agents. It would set up nonpartisan redistricting commissions to end partisan gerrymandering, and create new national automatic voter registration asking voters to opt out, rather than opt in. It would make Election Day a holiday for federal employees and encourage private sector businesses to do the same. While the Senate will surely fall in line behind its leadership and ignore this bill, the people of this nation seem to be clamoring for change. The Republican promise to “drain the swamp” may come back to haunt them in upcoming elections and members of the House and Senate are cautiously watching the polls. In response to reports that Russian hackers used Facebook and Instagram to encourage Black voters to skip the 2016 election or to sabotage their own vote, the NAACP has asked its allies to #logoutfacebook for a week.